Parents who have troubled teenage girls want the best for their daughters but are often no longer sure how to help. In some cases, these struggling young women cannot work through their problems while still at home. Some of the reasons troubled teen girls have a difficult time changing their behavior while at home can be negative peer influences, academic struggles, stuck in poor emotional coping methods and other behavioral issues. Many of these problems are habit-forming, so it is vital that struggling teenage girls receive help to alter the path of self-destruction they are currently on. There are therapeutic programs specially designed to help troubled girls that may be what concerned parents are looking for to help their daughters. Going through one such program may be the turning point to help bring a beloved daughter back from the edge and onto a more positive path. Parents have options when it comes to choosing a therapy program for their troubled daughter. Ranging from boot camp style programs to therapeutic treatment centers, parents have choices when it comes to how to best help their struggling child. Boot Camp programs – These programs tend to attract parents when struggling with a particularly rebellious daughter. As they are based on military boot camp, these programs enforce firm discipline to enact behavioral changes. However, once out of the strict environment, these changes may not be permanent. Wilderness programs – For a complete environment re-set, these programs remove troubled teens from their normal surroundings to help the teens change their negative behaviors. Education through experiences is the focus of wilderness programs, as well as behavioral changes. Therapeutic boarding schools – Fairly all-encompassing programs that address therapy and academic concerns. This is some of the appeal of selecting a therapeutic boarding school. These tend to be the longest and most expensive programs available to parents with troubled daughters. Lastly, there are ranch therapy programs for girls which stand out from the other programs. They are a unique mix of the above programs, taking some of the better aspects of the programs. What Are Girls Therapy Ranch Programs? Make permanent changes – On a working ranch, residents are brought naturally into the disciplined life of a rancher. The habits boot camp style programs try to instill come more naturally with work that makes sense rather than the somewhat arbitrary nature of boot camp programs. Experience education – Rather than being told how something should be accomplished, participants in a ranch therapy programs learn life lessons by experience new things. Many poor habits and behaviors can be worked through as troubled teenage girls literally work through their problems. 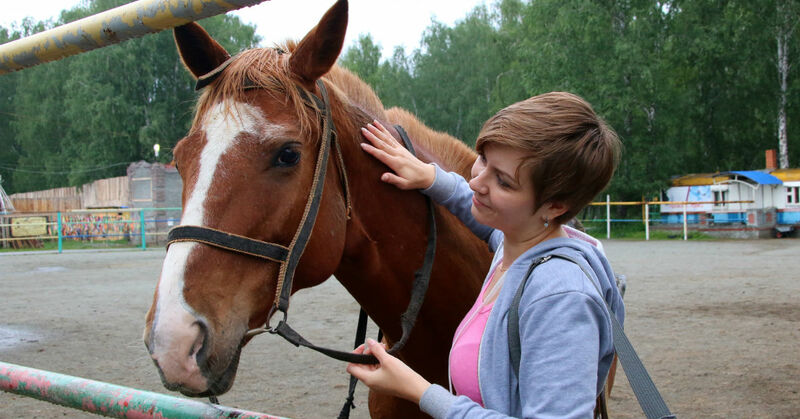 Brings everything together – Much like a therapeutic boarding school program, a ranch therapy program can bring together many therapy aspects like academics and specialized therapy. The bonus with a ranch program is the inclusion of animal therapy, and physical growth as the struggling teen mentally grows. These therapeutic ranches have highly trained staff who take care of their residents. This gives the young women supportive and safe places to address the issues that they were unable to deal with at home. From staff member to therapists, the girls at the ranches have plenty of help to finally face the roots of their problems and then develop new coping techniques, skills, and habits to replace old negative ones. Specific Ways Girls Therapy Ranch Helps? A transitional step from the troubled girl’s home to a more long-term program, such as a therapeutic boarding center. Modification of more entrenched behaviors, using the longer immersion in the program to help changes be permanent. Long-term group therapy and individual sessions to address deep issues. If there are particular issues parents are concerned about, they should be addressed with program coordinators before enrolling their troubled daughter. That way parents can be sure what of what program best suits their daughter. Choosing to send a troubled teenage daughter to a ranch therapy program can be a difficult choice for parents. Some may feel like they are abandoning their daughters or they are admitting defeat. This is far from the truth. When things have reached the point where a family is considering a therapeutic program, everyone in the family needs the program. While the struggling girl is the direct beneficiary of a therapy program, the whole family benefits in the end. The issues leading up the enrollment of a daughter in the chosen program need time to heal and for the whole family to learn new coping methods. So when a beloved daughter is struggling in her teen years, sending the daughter to a girl’s therapy ranch is an act of loving support.